Our Salt Lake City Dog Training company receives many phone calls from dog owners who are calling different trainers in order to find the best dog trainer to help with their training needs. As a result, our Salt Lake City Dog Training company thought it would be an awesome idea to write a blog post on the qualities of a good dog trainer. Our Salt Lake City Dog Training company and the American Veterinary Society of Animal Behavior believe in positive reinforcement dog training. Positive reinforcement dog training states when a behavior is rewarded over time that particular behavior will increase in frequency. Finding a positive reinforcement trainer is paramount. Reward-based dog training creates awesome results, and also allows the owner and the dog to create an awesome trust bond. 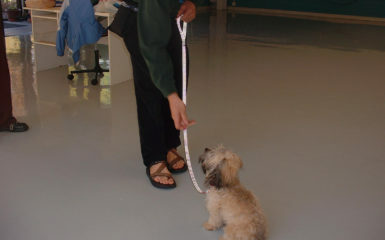 Many positive dog trainers also use clicker training which speeds up the learning process. Positive dog training also works great with behavioral issues including aggressive dog behavior or fearful dog behavior. In fact, positive reinforcement dog training works better for these behavioral issues because the motivation comes from love. In regards to training aggressive dogs or training fearful dogs, imagine a dog that is human aggressive and receives a shock when he is reacting toward that particular human. The dog will then pair the human with a shock. As a result, the dog could stop reacting overtly but the emotion of fear/anger within the dog remains the same. Because this can happen, the dog may look more calm, but he is actually stressed internally. In the near future, because the dog associates the human with pain, the dog may react intensely and may bite. Now imagine the same dog being trained with positive reinforcement dog training. When the dog sees the human, the dog is then given something that he loves. This could be food, toys, etc. If the proper training protocol is followed, the dog will then begin to pair the human with food. As a result, the dog will then become happier and more excited when he sees humans. This will then create the dog to be less likely to bite in the future. This is called counter conditioning. Besides using positive reinforcement, a good dog trainer will listen. They will get clear on your goals instead of imposing goals onto you. Remember this is your dog and your road map is important. 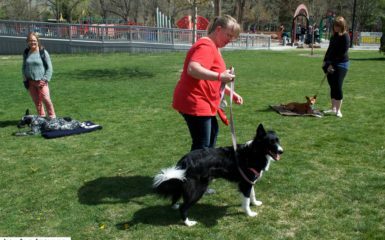 Our Salt Lake City dog training company also believes that a good dog trainer will communicate well with you. As a dog owner you may be learning as much as your dog. It is important that the trainer has good people skills. Our Salt Lake City dog training company also believes that a good trainer has extended knowledge in dog psychology. 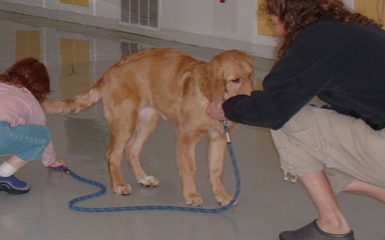 Our Salt Lake City dog training company has a bachelors in psychology and is CCPDT certified. While many other good trainers may not have a degree in dog psychology, they will have much knowledge about dog psychology. Knowing dog psychology helps trainers know that there are many ways to train the same behavior. There is not one way to train something, and a good dog trainer knows this! When a trainer is certified by IAABC, CCPDT, or ABC they are more likely to know about dog psychology. However, many awesome positive reinforcement dog trainers are not certified. 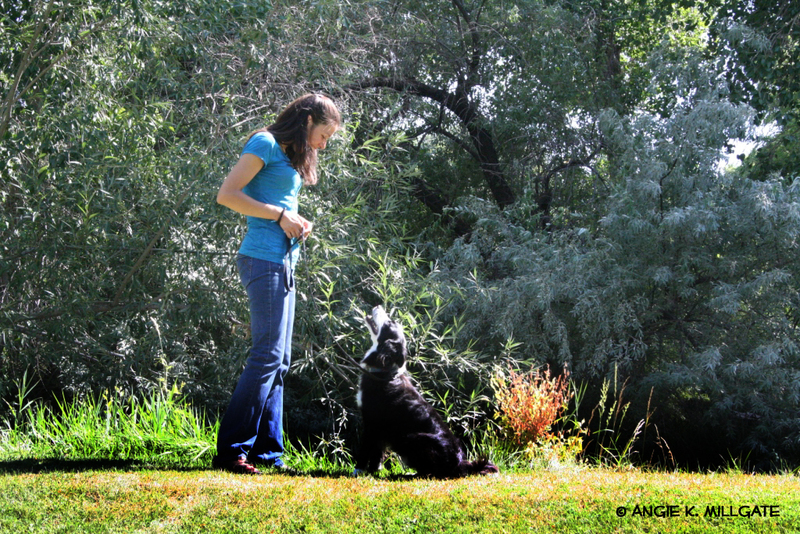 Our Salt Lake City dog training company also believes that trust is important. If the dog owner does not trust the dog trainer and does not believe that the dog trainer can support them in creating results, it will be difficult for the owner to create success. In addition to trust, the dog trainer and the owner should be a good match energetically. There are many ways to communicate. As your dog is being trained, you as the owner are also being trained so it is super important for you to feel comfortable and safe around the dog trainer you are working with! When searching for a good dog trainer, please remember that price shopping is not a good idea. While price maybe a factor in your mind, it is better to focus on the value you will be receiving and the results you will create. Yes, a good trainer will cost more money, and if you have fears about money our Salt Lake City dog training company suggests moving through your money fears. Our Salt Lake City dog training company believes that if you strongly want to invest in something that will bring you value, the money will show up in your life. The belief will allow the money to manifest into your life. Wondering on how to create the money you need to invest in a trainer is very productive. Remember the emotional pain you are feeling toward your dog’s issues. A money solution, will create more peace in your life. 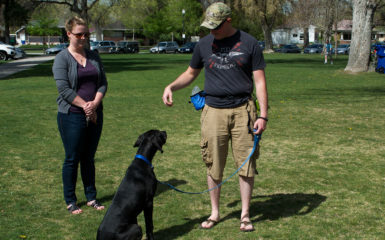 Lastly, Our Salt Lake City Dog Training company wants you to remember that it is important for you to feel comfortable between the interaction of your dog and the dog trainer. If you don’t feel comfortable with a technique that the dog trainer is doing, they might be using a punishment based technique. Your dog should be happy and love what he is learning. The interaction should be positive and fun for you and your dog! The American Veterinary Society of Animal Behavior explains the drawbacks of training a dog with punishment or traditional dog training very clearly. If you believe our Salt Lake Dog Training company is a great match for you, please check our upcoming courses on beginner obedience, basic puppy obedience and behavior modification dog training courses. If you are interested in other dog trainers, here are some great resources near the Salt Lake City Valley. If you do not live in Utah. Many of the above dog trainers and our Salt Lake City Dog Training company can do dog training over Skype. You can also look at the APDT to search for a dog trainer near you! Johanna Teresi, Salt Lake City dog trainer with Four Legged Scholars thanks you for taking the time to educate yourself about dog training! Namaste! Wow! I didn’t realize all the pieces that went into hiring a great dog trainer, from what you wrote I would def get someone with deep knowledge and credentials in dog psychology, like you. Thank you for sharing this great information. Anyone ever looking for a trainer should definitely read this.